If a picture is worth a thousand words, here’s some culled from thousands implicating Bush, Cheney, Blair, Clinton, Netanyahu and the Saudis; including leaked FBI 9/11 documents regarding “Able Danger” terrorist investigation scuttling at Clinton’s behest. “When the report was never made public, the team released the highly classified photographs depicting the huge nuclear crater with swirls of melted granite…. Richter readings always come from Earth’s movements or explosives coupled to the ground, not from plane impacts on buildings or falling debris. “Give us 20 years and we’ll take over your media and destroy your country.” Documents from Able Danger an FBI investigation into a planned attack on 9/11 which was scuttled by President Bill Clinton, which may explain Hillary Clinton’s intense interest in all emails pertaining to 9/11 as she is now running for president. Urban Moving Systems, a MOSSAD front was tasked with blowing up the George Washington Bridge that day. Two Israelis were arrested that day, with a truckload of bombs, as seen in the initial reports and the story was covered by national news networks and news anchors, including Dan Rather. Why you never hear the truth about 9/11 in the media. 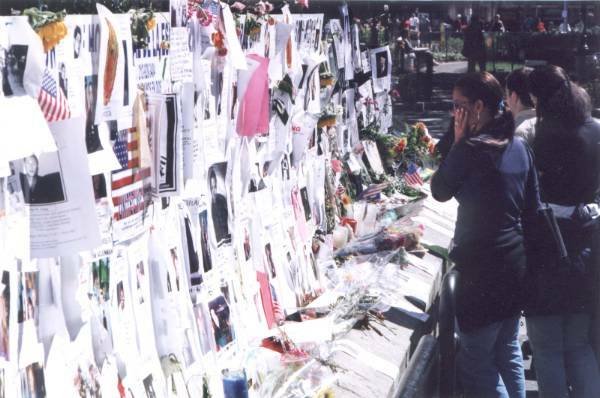 FBI Able Danger documents, 9/11 truck bombing arrests of Mossad (Israeli intelligence) agents. “How deeply Jewish is Hollywood? When the studio chiefs took out a full-page ad in the Los Angeles Times a few weeks ago to demand that the Screen Actors Guild settle its contract, the open letter was signed by: News Corp. President Peter Chernin (Jewish), Paramount Pictures Chairman Brad Grey (Jewish), Walt Disney Co. Chief Executive Robert Iger (Jewish), Sony Pictures Chairman Michael Lynton (surprise, Dutch Jew), Warner Bros. Chairman Barry Meyer (Jewish), CBS Corp. Chief Executive Leslie Moonves (so Jewish his great uncle was the first prime minister of Israel), MGM Chairman Harry Sloan (Jewish) and NBC Universal Chief Executive Jeff Zucker (mega-Jewish). As a proud Jew, I want America to know about our accomplishment. Yes, we control Hollywood. Without us, you’d be flipping between ‘The 700 Club’ and ‘Davey and Goliath’ on TV all day. “If either of the Weinstein brothers had signed, this group would have not only the power to shut down all film production but to form a minyan with enough Fiji water on hand to fill a mikvah. “The Jews are so dominant, I had to scour the trades to come up with six Gentiles in high positions at entertainment companies. When I called them to talk about their incredible advancement, five of them refused to talk to me, apparently out of fear of insulting Jews. The sixth, AMC President Charlie Collier, turned out to be Jewish. “As a proud Jew, I want America to know about our accomplishment. Yes, we control Hollywood. Without us, you’d be flipping between ‘The 700 Club’ and ‘Davey and Goliath’ on TV all day. Hollywood control is more of a modest misnomer, as the influence encompasses all news media. Since many of those studies control film and television, it’s not just film we are talking about, but also cable news. Walt Disney, for instance, owns ABC. 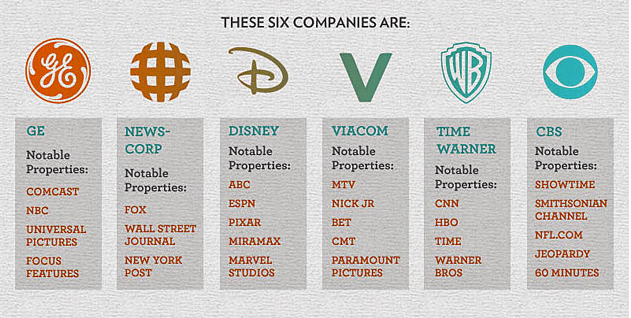 Six corporations control everything you see on television. Two things happen in a media monopoly when all speak as one: the public is deceived by the illusion of a left-right consensus, as they did after 9/11, and two, the public eventually wakes up and we have a situation where 96% of Americans don’t trust the mainstream media, as AP recently reported.